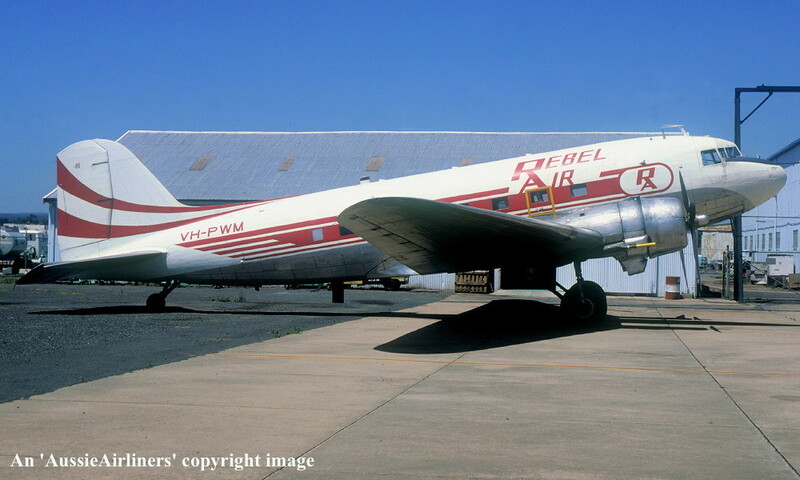 VH-EWB. 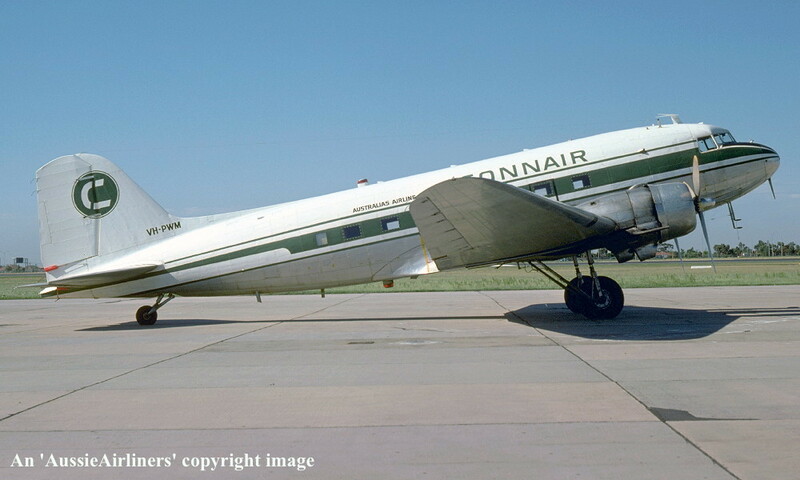 Douglas C-47A-1-DK. c/n 11970. 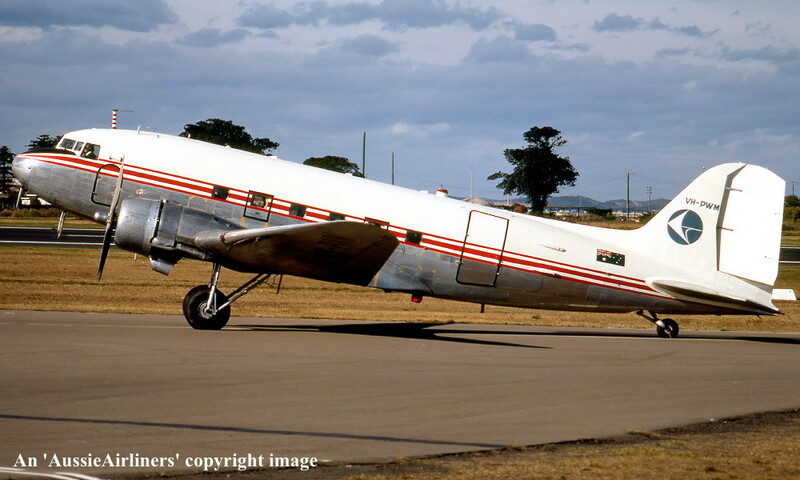 It was also registered as: VH-PWM. VH-EWB. 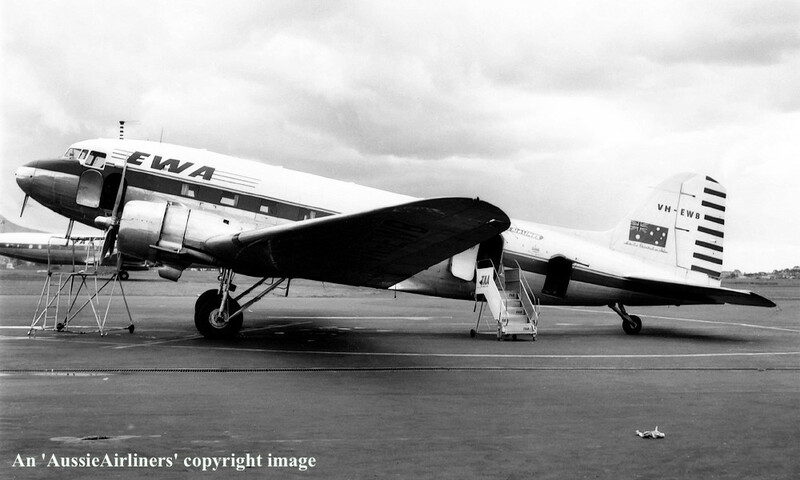 EWA - in an early livery at Sydney Kingsford Smith Airport, April 1962. VH-EWB. 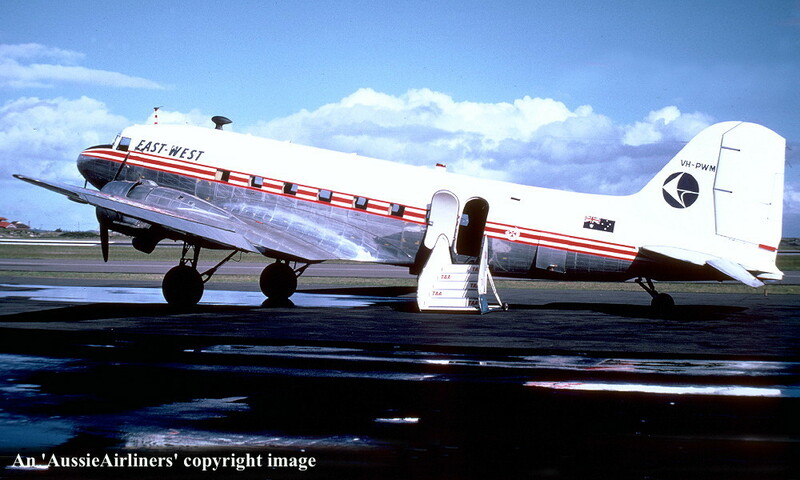 East-West Airlines - 'Warwick City' in the standard livery at Tamworth Airport, date unknown. 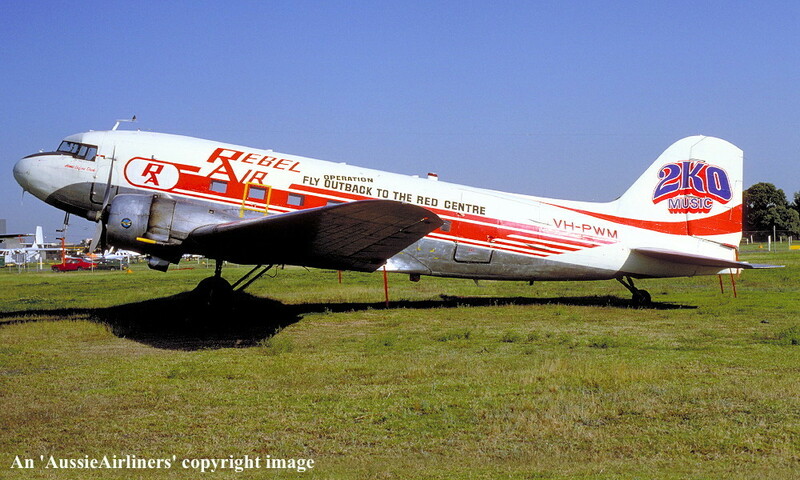 VH-EWB. 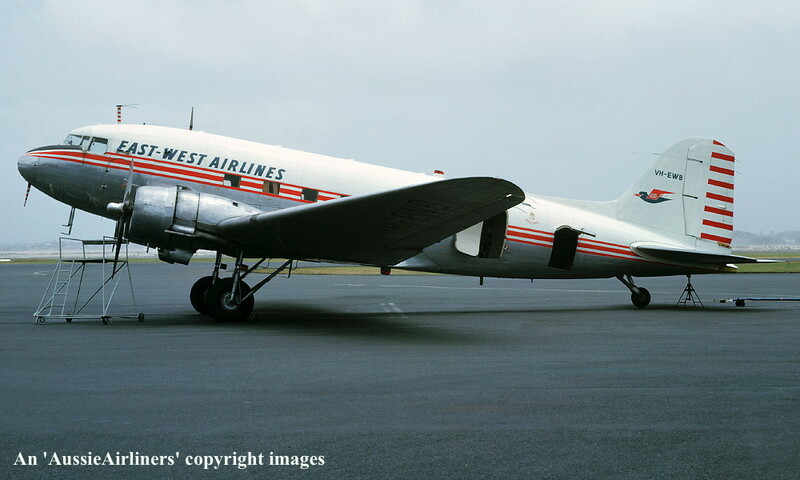 East-West Airlines - 'Warwick City' in the standard livery at Sydney Kingsford Smith Airport, July 1966. 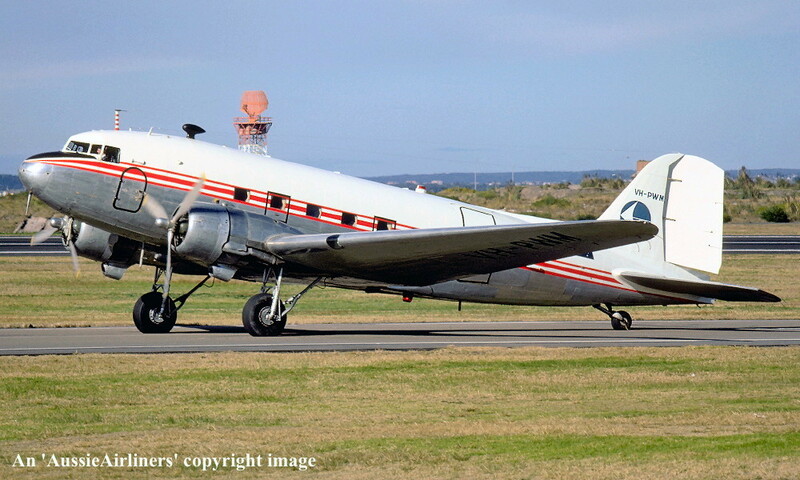 VH-EWB. 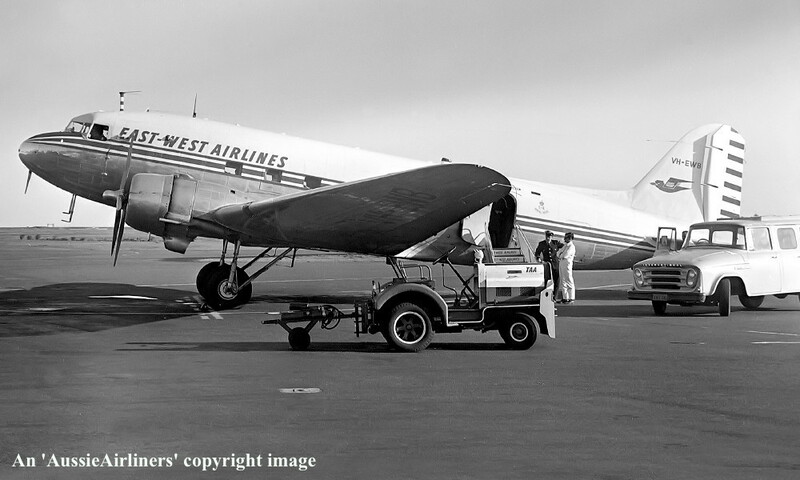 East-West Airlines - 'Warwick City' in the standard livery at Sydney Kingsford Smith Airport, December 1966. 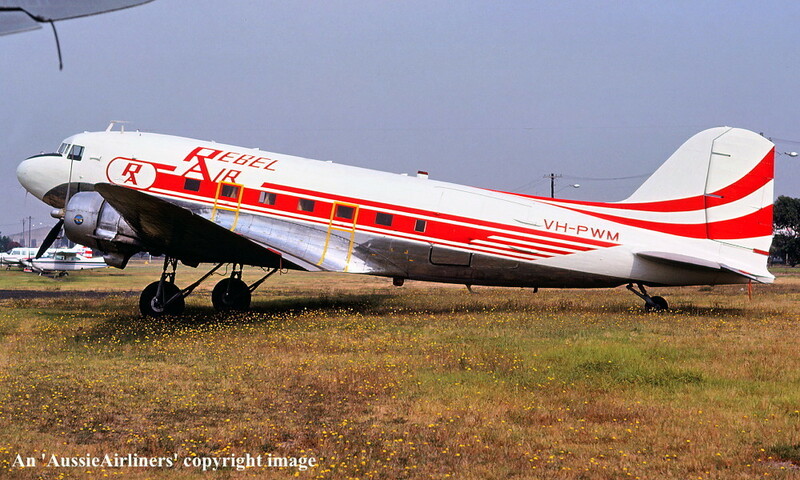 VH-EWB. 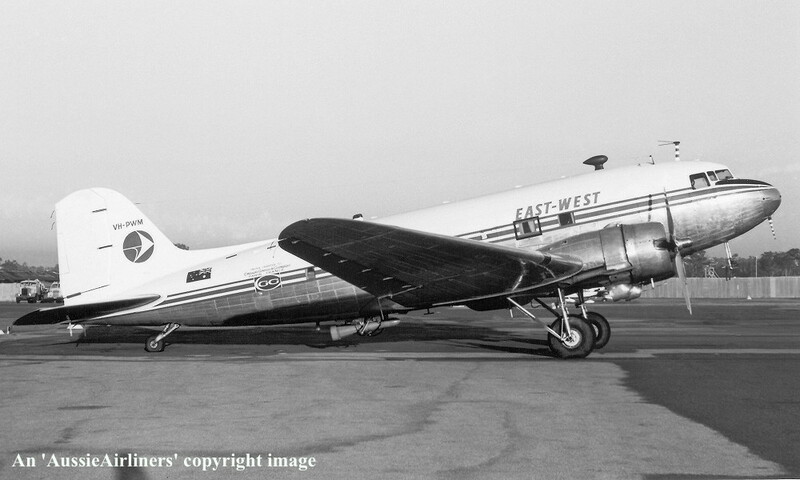 East-West Airlines - 'Warwick City' in the standard livery at Sydney Kingsford Smith Airport, March 1967. VH-PWM. 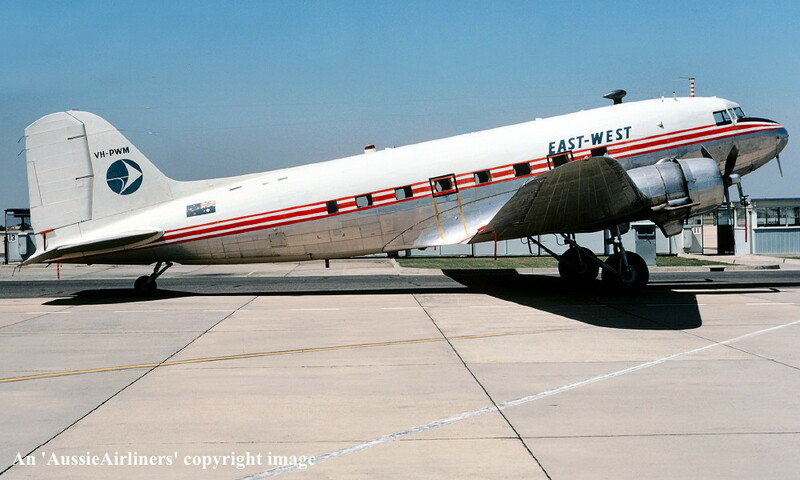 East-West - in the final livery with additional 'N.S.W. 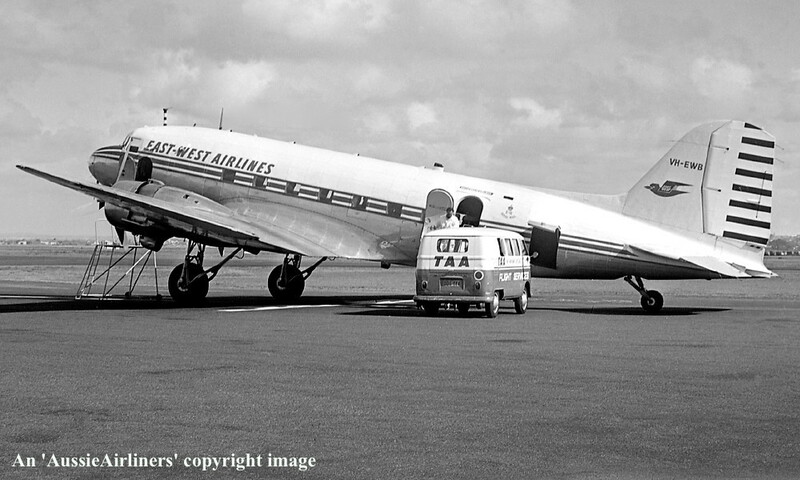 Ambulance Service' logo at Sydney Kingsford Smith Airport, June 1969. VH-PWM. 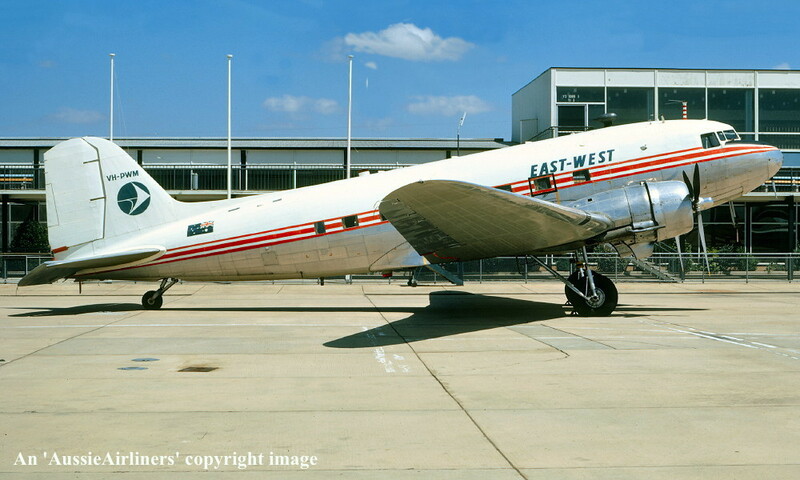 East-West - in the final livery with additional 'GG' titles and magnetometer at Brisbane Airport, date unknown. VH-PWM. 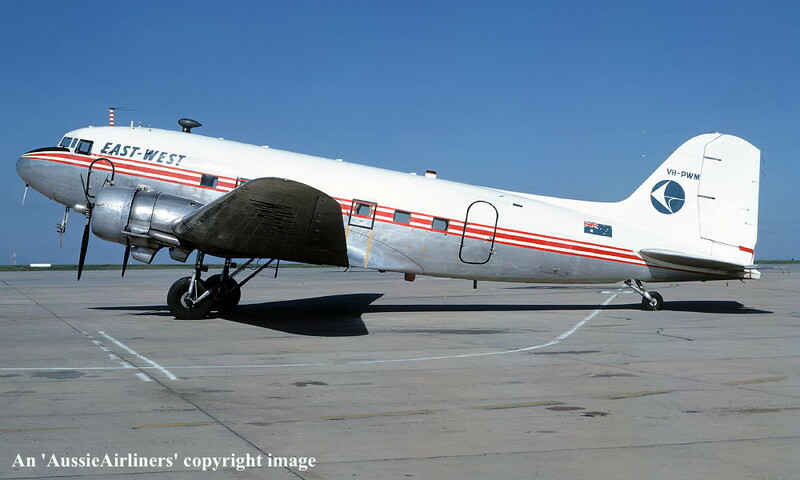 East-West - in the final livery at Melbourne Essendon Airport, January 1972. VH-PWM. 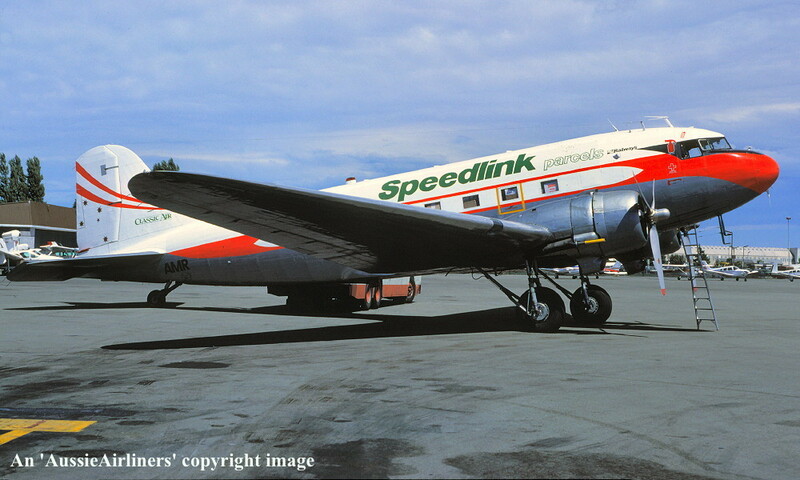 East-West - in the final livery at Melbourne Essendon Airport, December 1972. VH-PWM. 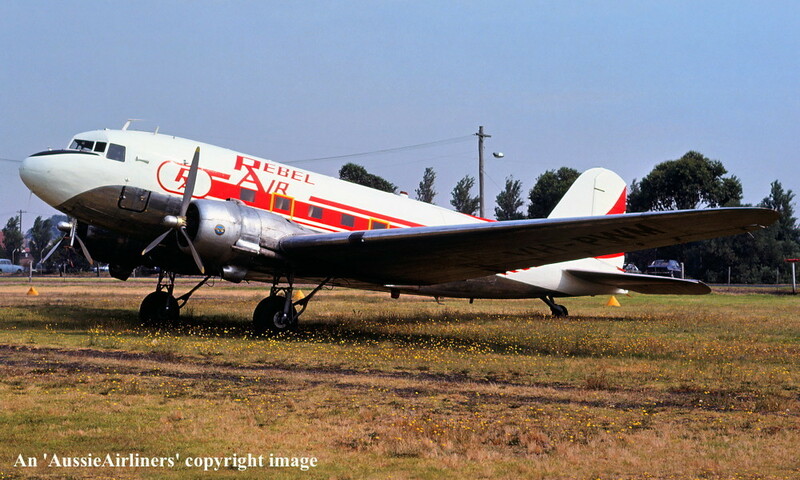 East-West - in the final livery at Melbourne Essendon Airport, February 1973. VH-PWM. 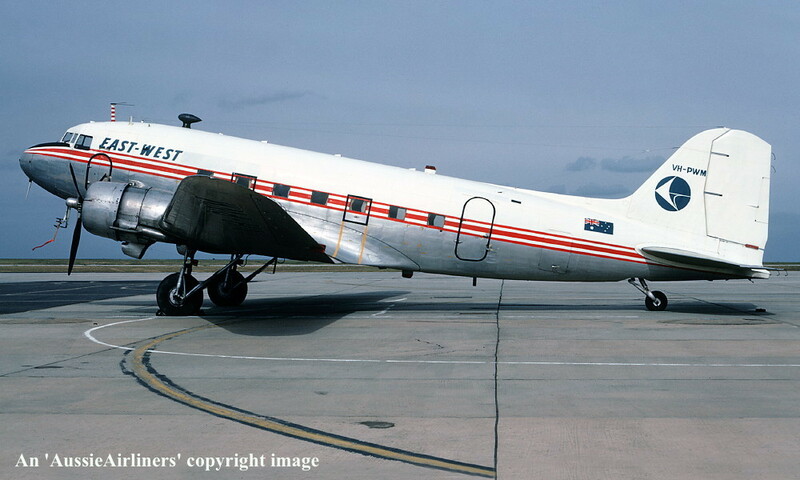 East-West - in the final livery at Melbourne Essendon Airport, March 1973. VH-PWM. 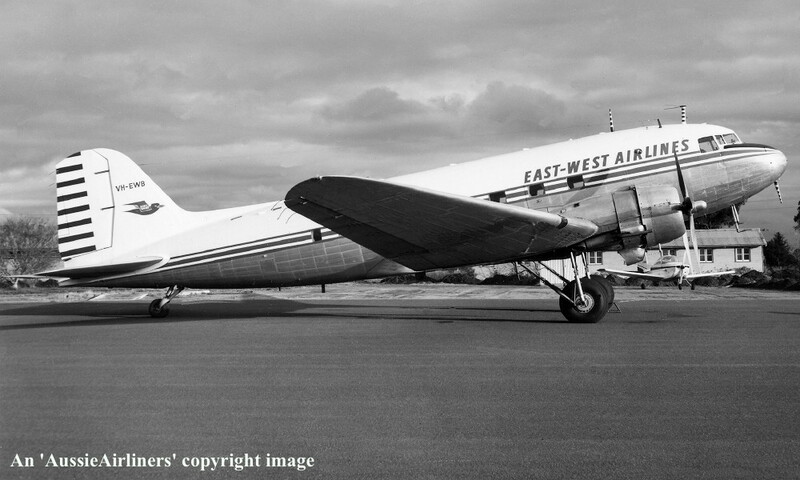 East-West - in the basic livery at Sydney Kingsford Smith Airport, June 1973. VH-PWM. 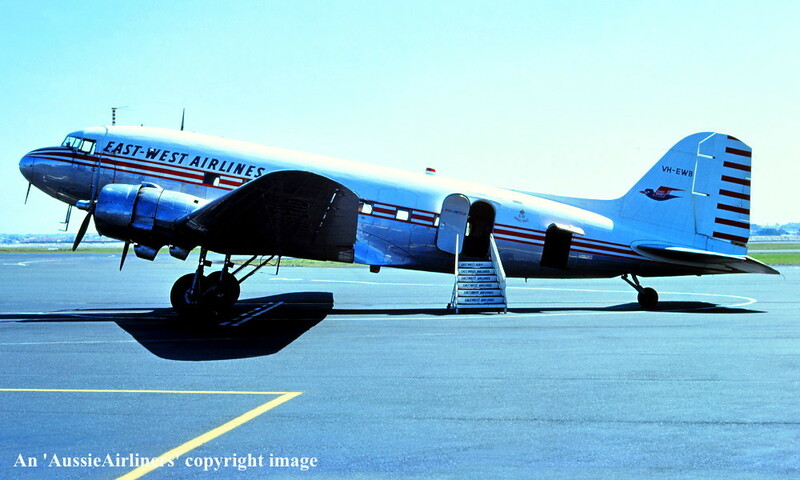 East-West - in the basic livery at Sydney Kingsford Smith Airport, July 1973. VH-PWM. 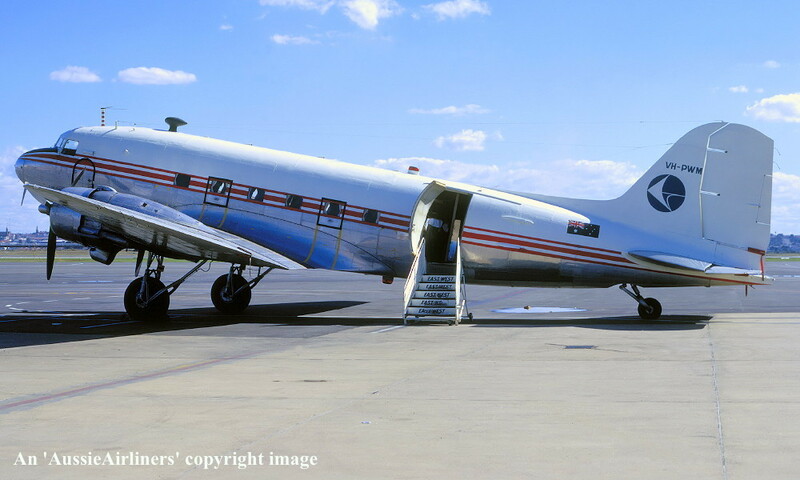 East-West - in the basic livery at Sydney Kingsford Smith Airport, August 1973. VH-PWM. 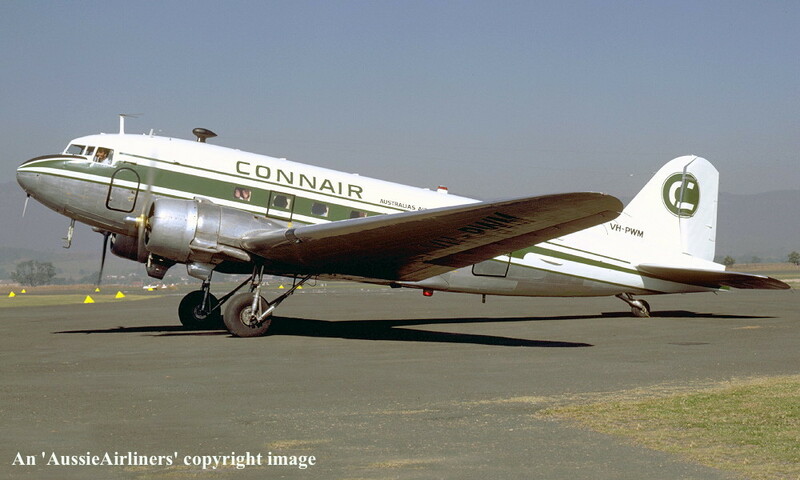 Connair Australia's Airline - in the standard livery at Albion Park Regional Airport, September 1973. VH-PWM. 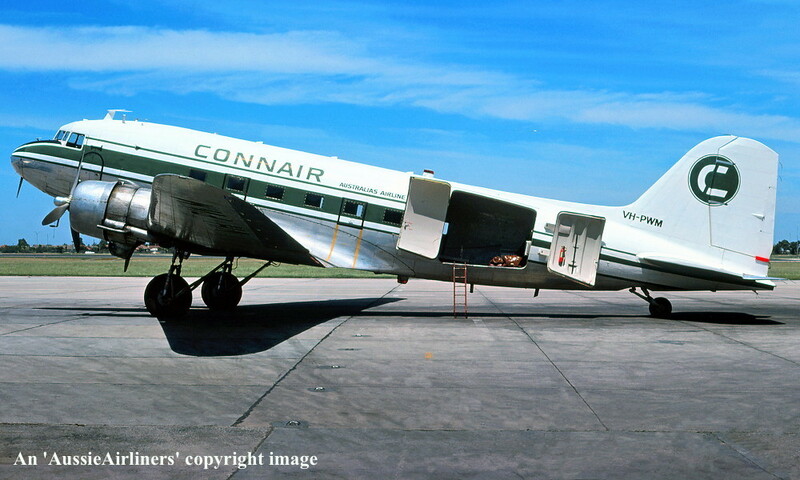 Connair Australia's Airline - in the standard livery at Melbourne Essendon Airport, December 1975. VH-PWM. 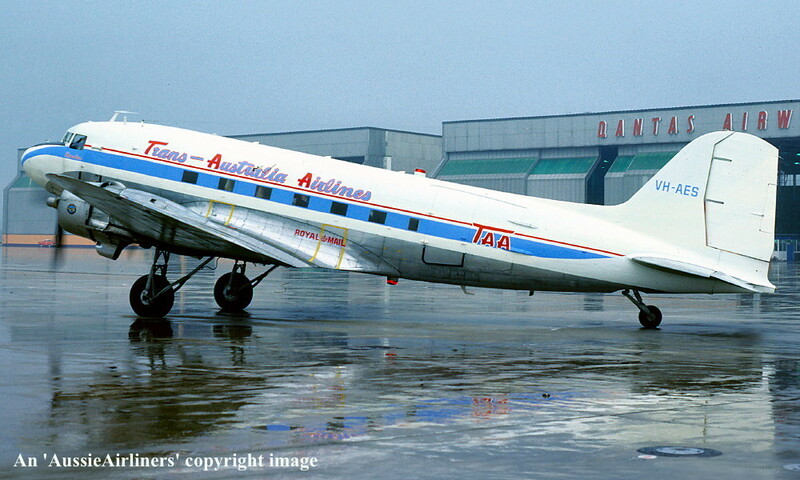 Connair Australia's Airline - in the standard livery at Melbourne Essendon Airport, January 1978. VH-PWM. 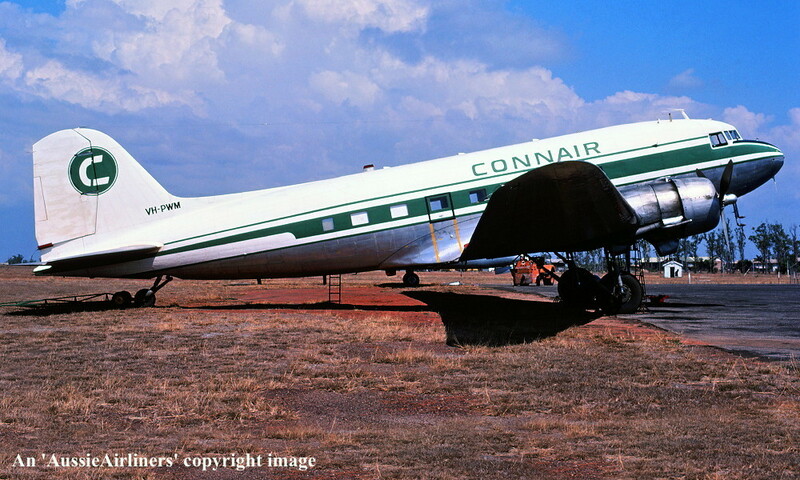 Connair - in the standard livery at an unknown airport, March 1978. VH-PWM. 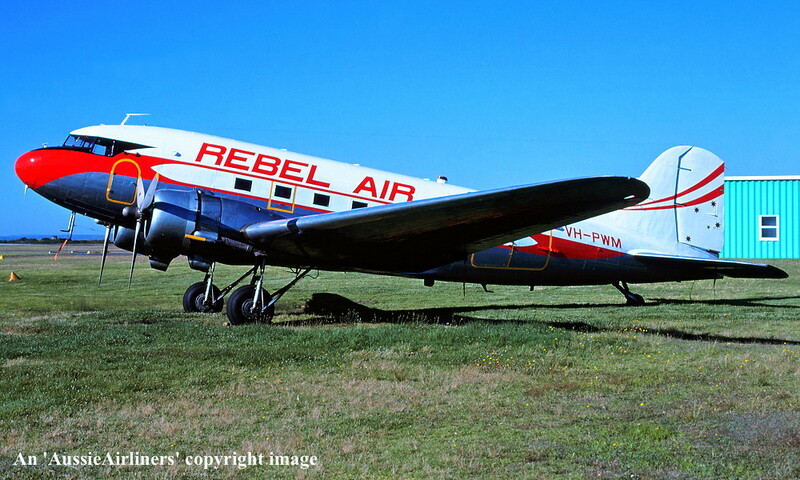 Rebel Air - in the original livery at Sydney Kingsford Smith Airport, January 10, 1980. VH-PWM. 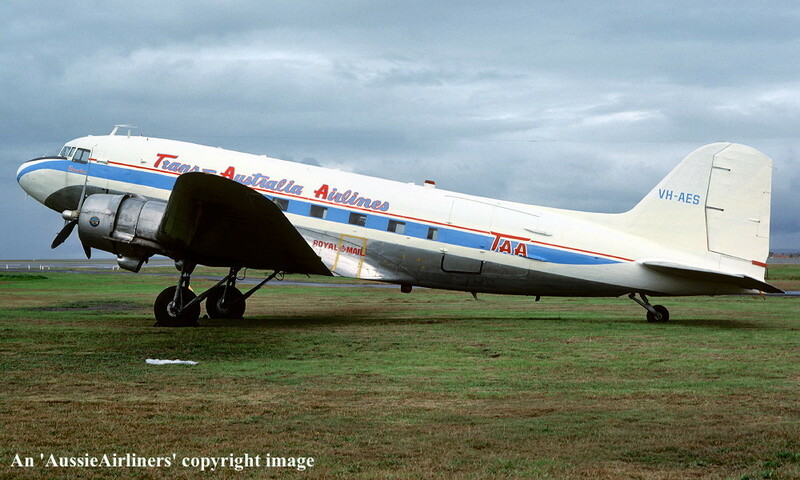 Trans-Australia Airlines - in a hybrid livery as the fictitious 'VH-AES' at Sydney Kingsford Smith Airport, May 1980. VH-PWM. 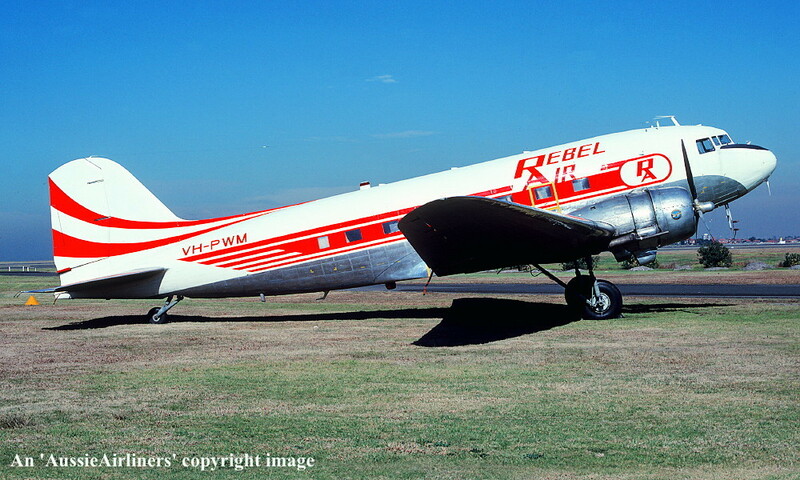 Rebel Air - in the original livery at Sydney Kingsford Smith Airport, September 14, 1980. VH-PWM. 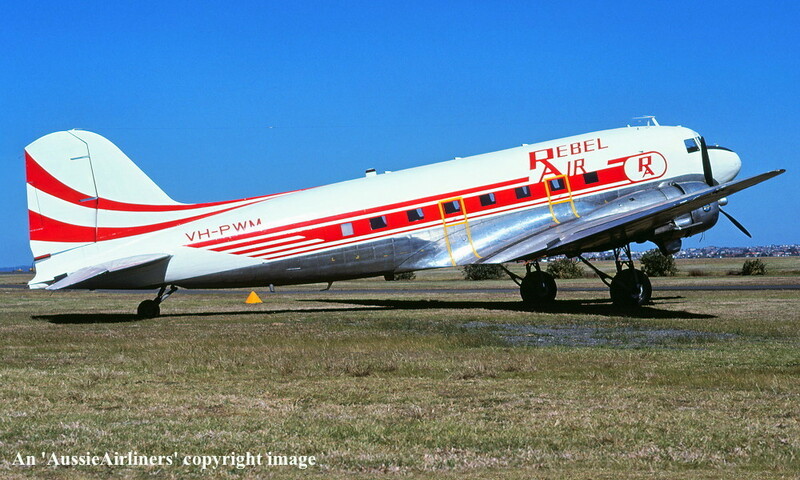 Rebel Air - in the original livery at Sydney Kingsford Smith Airport, August 15, 1981. VH-PWM. 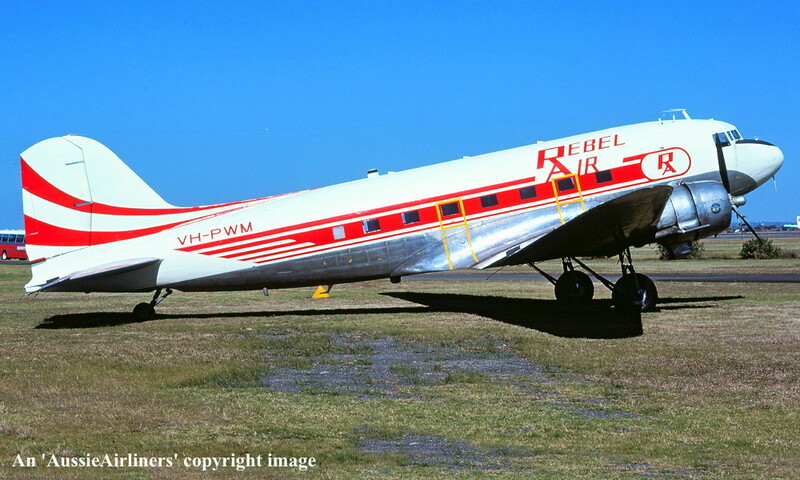 Rebel Air - in the original livery at Sydney Kingsford Smith Airport, August 20, 1981. VH-PWM. 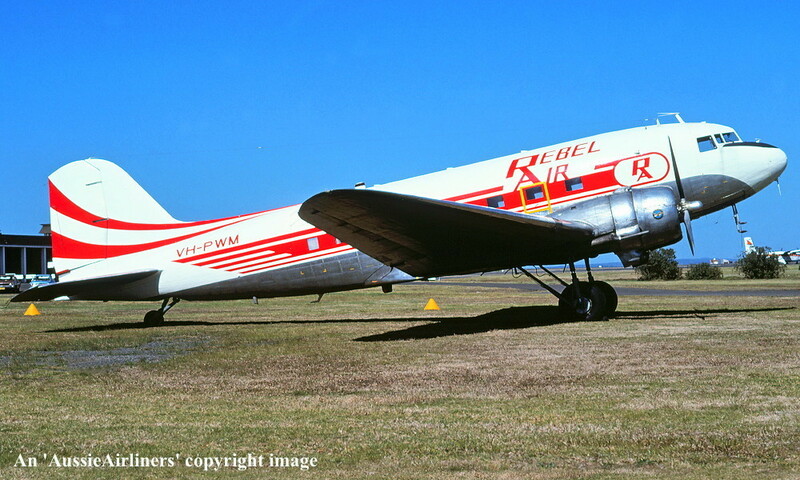 Rebel Air - in the original livery at Sydney Kingsford Smith Airport, January 04, 1983. VH-PWM. 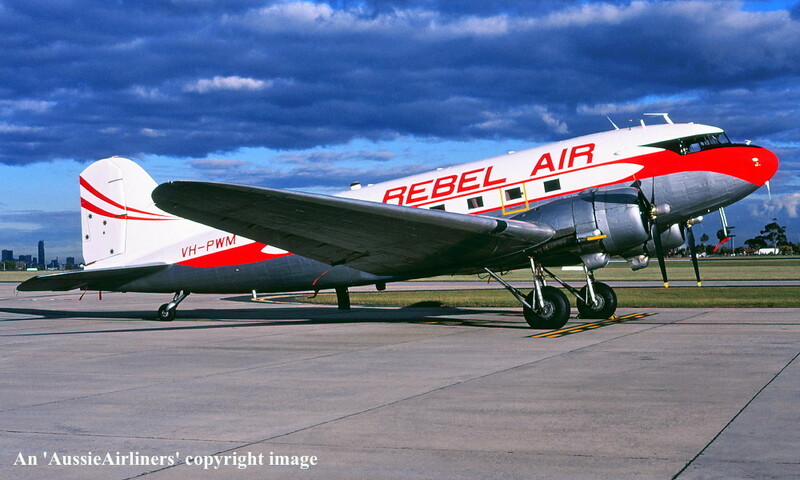 Rebel Air - in the original livery at Sydney Bankstown Airport, date unknown. VH-PWM. 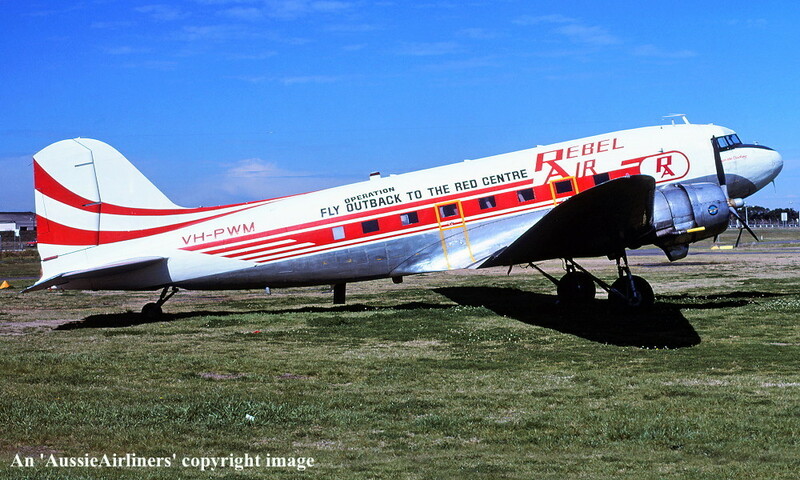 Rebel Air - in the original livery with additional 'Fly Operation Outback To The Red Centre' titles at Sydney Kingsford Smith Airport, September 04, 1983. VH-PWM. 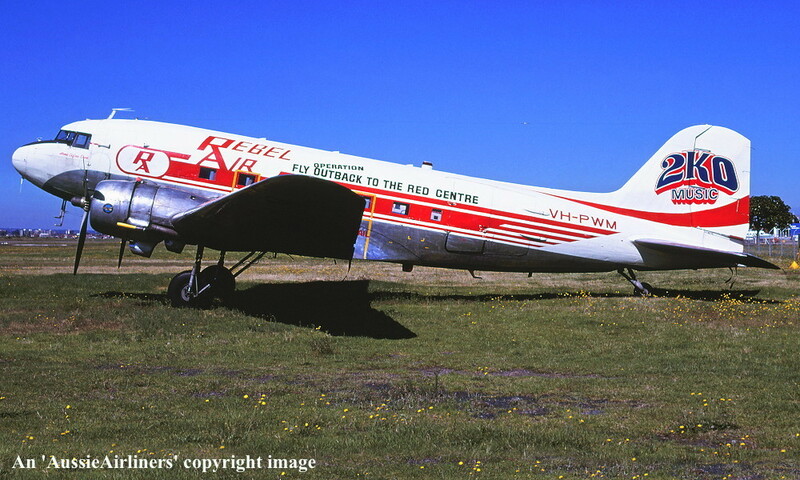 Rebel Air - in the original livery with additional 'Fly Operation Outback To The Red Centre' and '2KO Music' titles at Sydney Kingsford Smith Airport, January 03, 1984. VH-PWM. 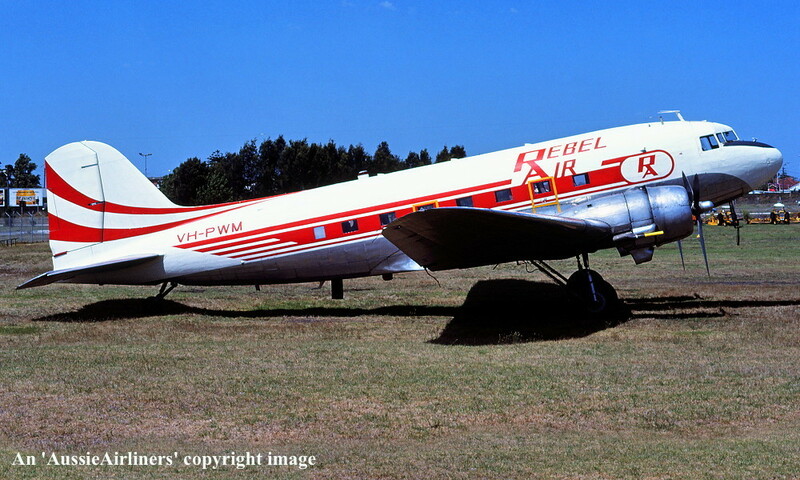 Rebel Air - in the original livery with additional 'Fly Operation Outback To The Red Centre' and '2KO Music' titles at Sydney Kingsford Smith Airport, January 18, 1984. VH-PWM. 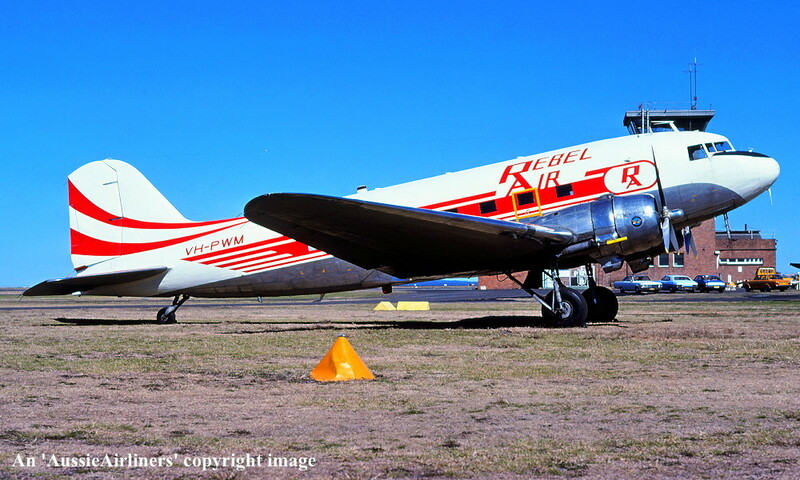 Rebel Air - in the final livery at Sydney Kingsford Smith Airport, December 22, 1984. VH-PWM. 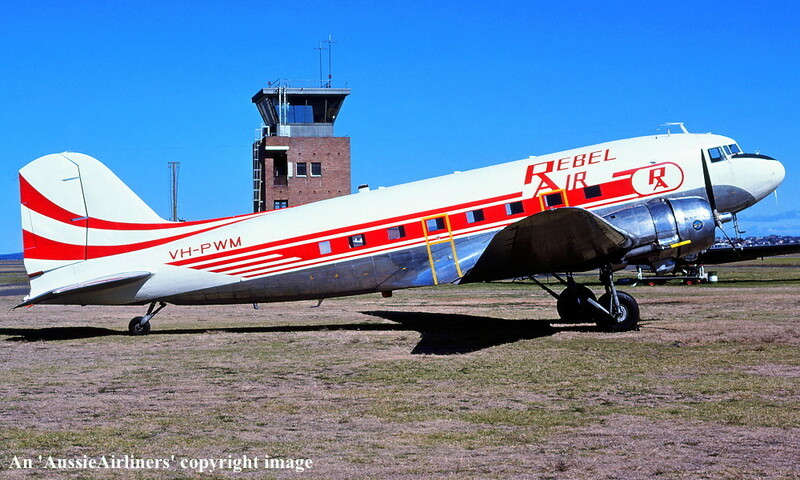 Rebel Air - in the final livery at Melbourne Essendon Airport, July 1985. ZK-AMR. 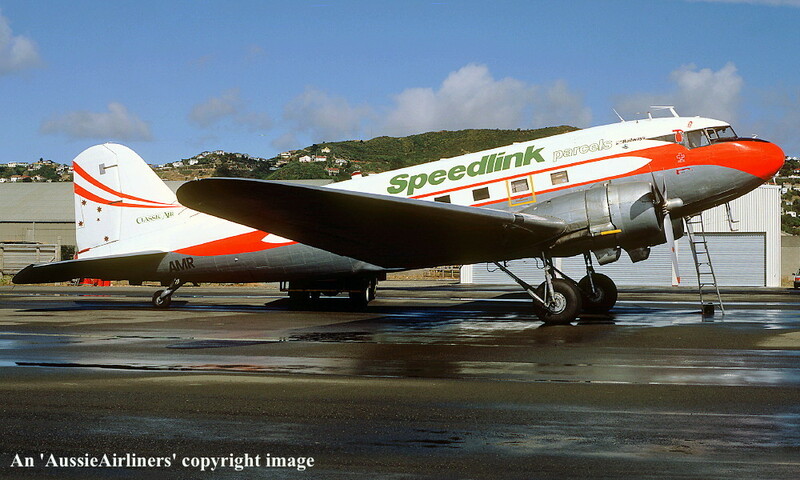 Classic Air Speedlink Parcels - in the basic 'Rebel Air' livery at Wellington Airport, September 1986. ZK-AMR. 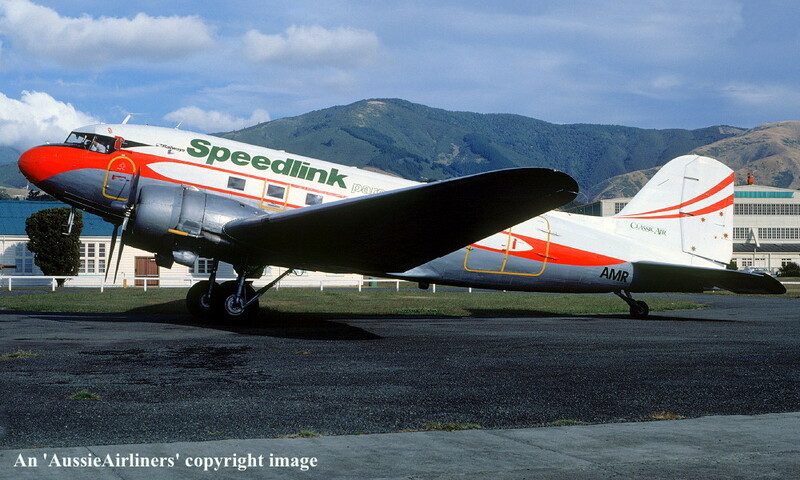 Classic Air Speedlink Parcels - in the basic 'Rebel Air' livery at Christchurch Airport, April 1987. ZK-AMR. 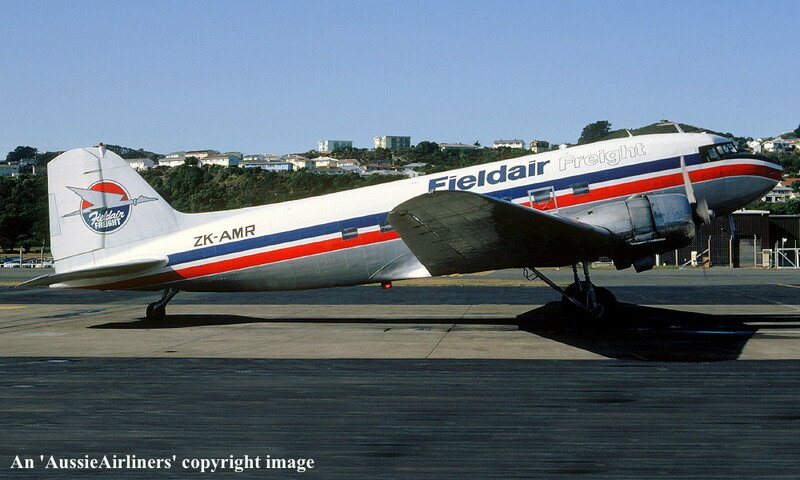 Fieldair Freight - in the standard livery at Wellington Airport, April 1990. ZK-AMR. 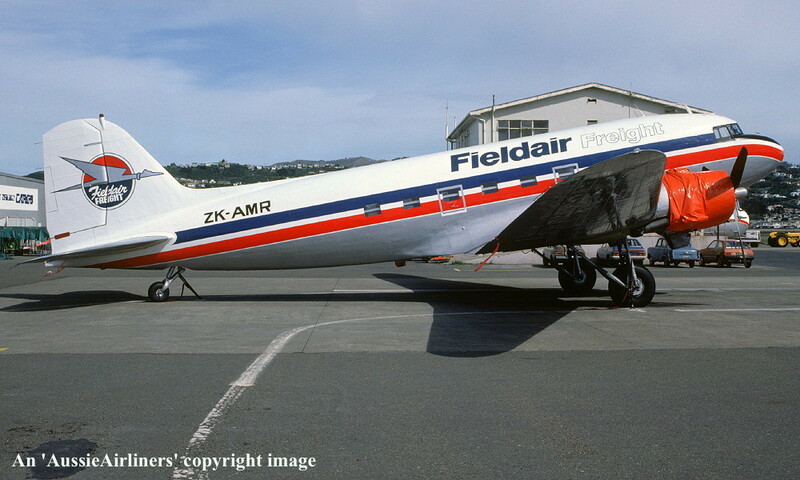 Fieldair Freight - in the standard livery at Wellington Airport, May 1992. 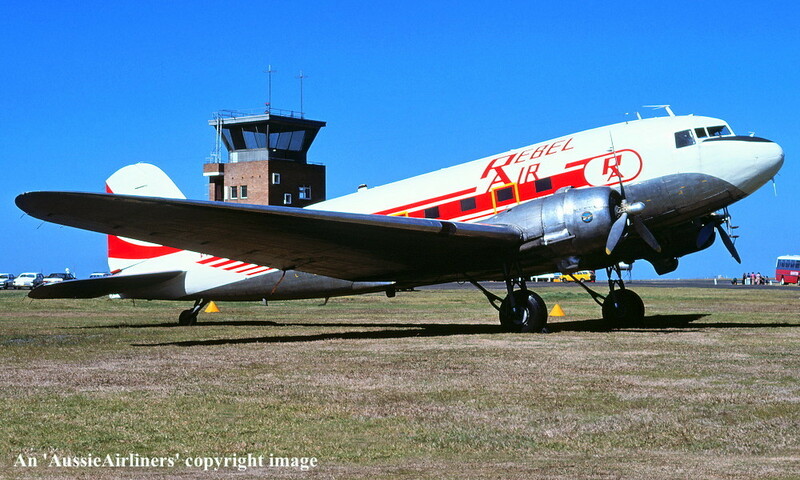 ZK-AMR. 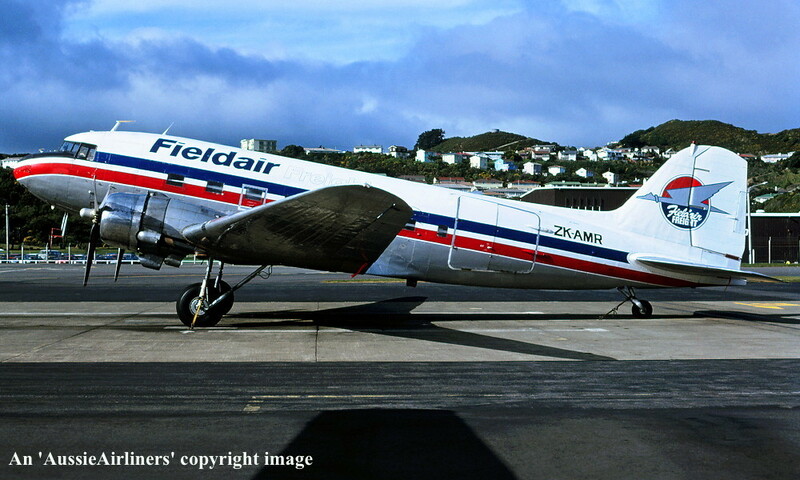 Fieldair Freight - in the standard livery at Wellington Airport, August 1992.